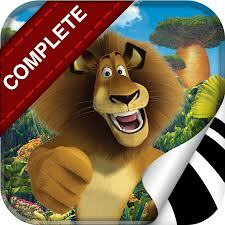 Now get all of your favorite Madagascar Movie storybooks in one app! The Madagascar Movie Storybook Collection- Complete app brings together fans’ favorite characters and stories onto the iPad, iPhone and iPod touch. Featuring genuine character audio narration and vivid images from the motion picture series, the app offers parents and their children an extraordinary reading experience packed full of fun with Alex the lion, Marty the zebra, Gloria the hippo, Melman the giraffe and more! Madagascar- Alex is the king of the urban jungle as the main attraction at the New York Zoo. He and his best friends Marty, Melman and Gloria have lived their entire livers in blissful captivity, complete with lavish meals and their own park views. But that’s all about to change. Madagascar: Escape 2 Africa – The animals try to fly back to New York City, but crash-land on an African wildlife refuge, where Alex is reunited with his parents. Unfortunately, life in Africa is not as wonderful as it first seems. Makunga, still determined to take the position of alpha lion, reminds Zuba that Alex must complete a traditional lion coming-of-age challenge. Alex, thinking that the challenge is a dance contest quickly finds out it’s actually a fight against the strongest lion. Madagascar 3: Europe’s Most Wanted – Alex, Marty, Gloria and Melman are still fighting to get home to their beloved Big Apple and of course, King Julien, Maurice and the Penguins are all along for the comedic adventure. Their journey takes them through Europe where they find the perfect cover: a traveling circus, which they reinvent – Madagascar style.